How do I change\edit a form someone else made? I problem is that the employee who made the form no longer works for us and I cant edit the document. How do I either copy the form or edit the form? You have several options to deal with this situation. 1. You can clone the form and reembed it to your site (in case it's embedded right now). 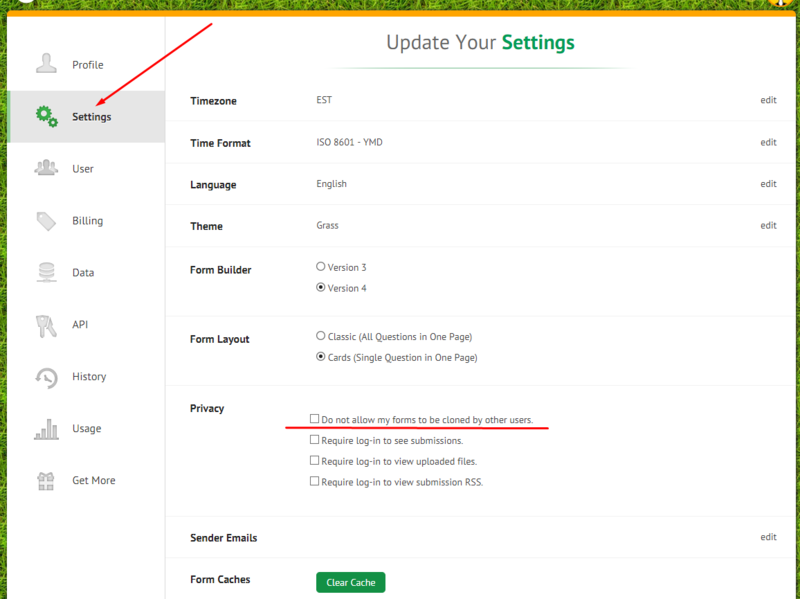 This means that if your employee has marked underlined field, you will not be able to clone his forms. 3. If none of options mentioned above works, you can get back to us and we will help you to recreate your own form from scratch. I am going to have to use the 3rd options. That employee was dismissed from out company and did not leave the information to correct. I can copy the link but not receive the input. I'm not sure that I've understood your reply correctly. Does it mean that you have tried to clone the form and had no luck?